Schroon Lake; Lorraine H. DeCesare, 84, passed away peacefully Friday morning December 13, 2013, at Glens Falls Hospital following a long and courageous battle with cancer. She was born January 30, 1929 in Albany, NY the daughter of the late William A. and Emma A. Wiley of Colonie. 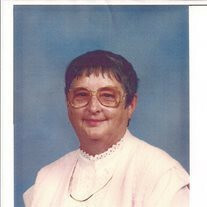 She was also predeceased by her brother William "Sonny" Wiley of Pine Bush. Lorraine was married to her husband Americo (Val) DeCesare for 39 years until his untimely death May 3, 1992. Together they owned and operated several successful businesses including, Lou's Pizza in Schenectady, Maypine Pizza and DeCesare's Pizzeria in Schroon Lake, now owned and operated by their son Alan. Lorraine enjoyed cooking. Her spaghetti sauce, meatballs, and eggplant parm were considered by many, the best around. In retirement Lorraine and Val enjoyed trips to Hawaii, Cape May and Bar Harbor. Lorraine enjoyed fishing with her family and would cook whatever the catch of the day was for her boys. She spent countless hours knitting and crocheting beautiful afghans and gifts for everyone in her family. Left to cherish her memory are her sons, Don (Patty) of St. Augustine Florida, Carl of Schroon Lake, Gary (Diane) of Lake Luzerne, Val David (Diane) of Burnt Hills, Alan (Debbie) of Schroon Lake and Douglas (Debbie) of Queensbury, her twelve grandchildren, MeriBeth (Kyle) Gilbert and John (Nicole), Heather and Carl ( Taylor), Danny (Christine), Valerie (Andrew) DelSignore and Dawn (Scott) Carpenter, Val David Jr., Alan (Danielle, Lynne and Alyssa, and Jenny who will cherish their memories of summers spent at Schroon Lake with their "Mema" or "Meems". She was also blessed with 10 great grandchildren. Lorraine is also survived by her long time friend and companion Douglas Fawthrop of Schroon Lake. They enjoyed going to bingo and taking long rides in the Adirondacks and Vermont. A celebration of Lorraine's life will be held for family and friends from 9:00 AM until the service at 10:30 AM on December 23, 2013 at the Edward L. Kelly Funeral Home 1019 US Rt. 9 Schroon Lake. Interment will follow a Memory's Garden in Albany. Lorraine loved children and the holidays. In lieu of flowers, the family suggests a donation in her memory be made to the Children's Christmas Express, 187 Alder Meadow Road, Schroon Lake, NY 12870. We have lost a kind and loving soul... Lorraine will be greatly missed.